Milledgeville is a designated Camera Ready Community, by the state of Georgia’s Film, Music & Digital Entertainment Office. Production companies value Georgia for a variety of attributes – from our diverse locations to our business-friendly environment and our talented and skilled workforce. The Milledgeville-Baldwin Convention & Visitors Bureau is a film friendly office and able to assist in permitting, location support and assistance in coordinating with local crew and services. The Milledgeville area boasts a wealth of locations including Lake Sinclair and Plant Harllee Branch to Central State Hospital, historic homes and rural settings. The Annual Milledgeville Film Festival, a five day movie explosion in the heart of Georgia&apos;s lake country. Features and shorts are welcome in a contest that mixes our city&apos;s history and new filmmakers with our Oliver Hardy Comedy Award and Central State Hospital horror screening. 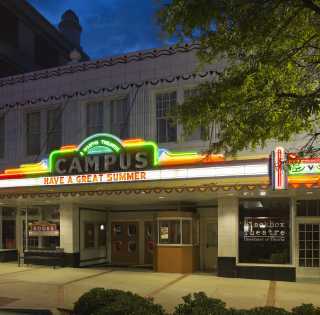 Compete, chat, and celebrate with other filmmakers in Milledgeville&apos;s iconic buildings with our Magnolia Ballroom Gala and renovated Campus Theatre Workshops. For more information on filming in Milledgeville-Baldwin County, contact Rebekah Snider at the Milledgeville-Baldwin CVB for assistance at (478) 452-4687 or Rebekah@visitmilledgeville.com.